Pest control companies are making out like bandits. Their phones are ringing off the hook as desperate homeowners are looking for some relief from the invasion of insects that have descended upon springtime suburbia. Thanks to global warming, a dry warm winter has been the perfect breeding ground for swarms of new ants, ticks, mosquitoes and bees. Oh, for those pre-1972 days when a desperate housewife need only grab a spray can of DDT and her pesky problems would be solved in a jiff. The Ants Go Marching Two by Two, Hurrah, Hurrah…. 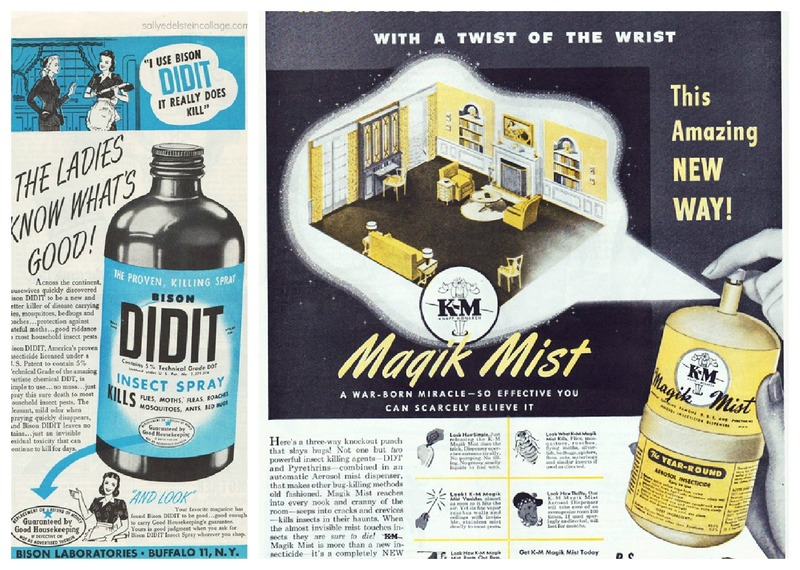 In the 1950s, as spring would bring the inevitable flies and ants marching through the house, my Mom would be in step right behind them, her aerosol can of Bug a Boo spray poised to douse the entire house. In large, can’t-miss-print, the can boldly boasted, that it contained DDT that far exceeded the US Government standards for insecticides. Here was a war born miracle so amazingly effective you could scarcely believe it. Powerful, yet it wouldn’t harm humans or damage home furnishings. Pine scented, it was pleasant to use – it was like bringing a bit of the outdoors right into our home – just close your eyes and suddenly you were in the middle of a misty cool DDT sprayed forest. 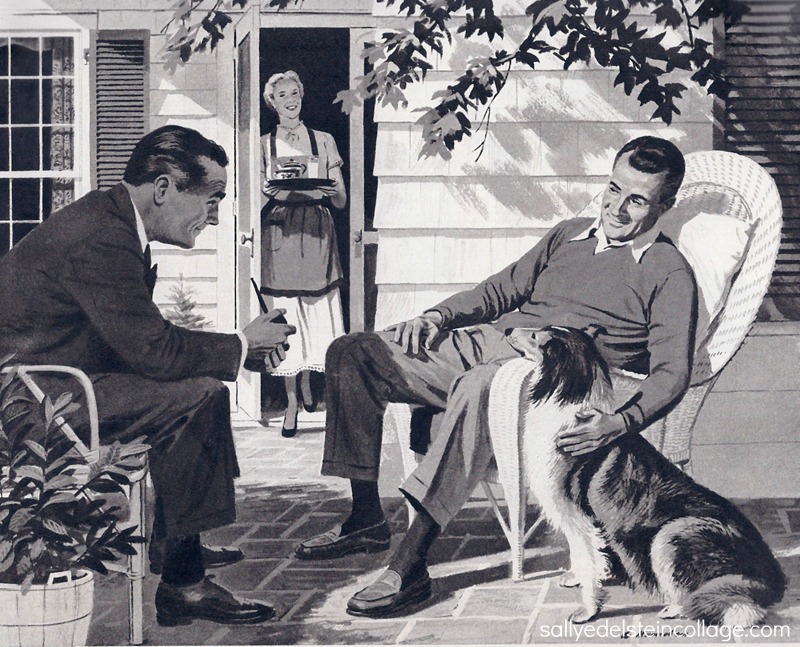 With DDT, your family could approach the dreamed of day, of a healthy home. 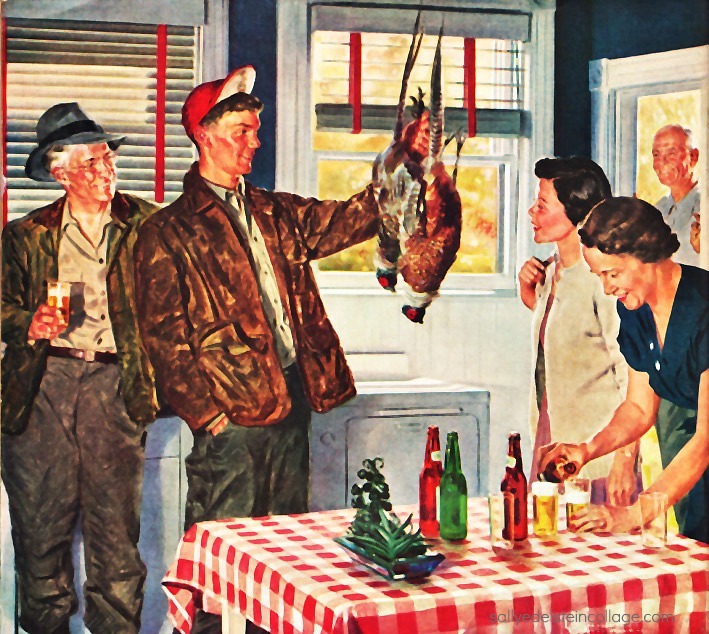 Kept on hand in most American homes, it was ready to make any situation more enjoyable. That’s why now it was flying off the shelves. Everyone was swinging over to the newest and easiest way of being carefree at home and in the garden. Vintage ad NY Life Insurance 1950. That Life Insurance will come in mighty handy 30 years later when the effects of DDT are finally felt. My father happened to be a big booster of the ingeniously new DDT. He called it an Atomic Vermin Destroyer. “They said it couldn’t be done, they said nobody could do it,” Dad bragged. But that didn’t stop American know-how. This was the wonder chemical that had saved thousands of lives during the war. It had been sprayed heavily on the South Pacific Islands where Dad served and he would proudly tell us how this wonder insecticide had saved lives from malaria-carrying Mosquitoes. 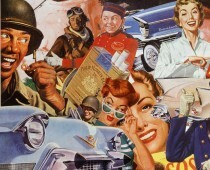 In fact, soldiers were issued DDT powder to sprinkle on their sleeping bags with no adverse effects. 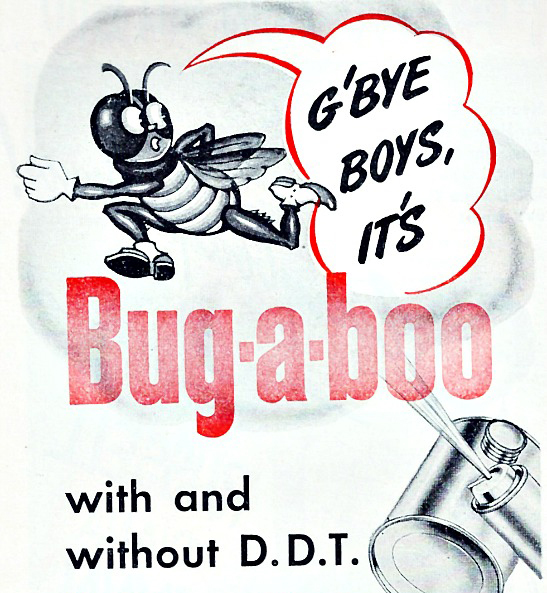 After winning a victory during WWII, DDT shucked its military clothes, wrapped up its world-wide service bars, and came home a hero to take over the number one spot in Americas bug battle. Armed with the massive striking power of DDT it was our heaviest punch in the insecticide arsenal, the Joe Louis of insecticides. No sooner had we dropped the Atom Bomb that would bring an end to WWII, than the War Production Board released their other secret weapon dichloro-diphenyl-trichloroethan (better known as DDT) for civilian use that August of 1945. With a ringing endorsement from Uncle Sam assuring his nieces and nephews the complete safety of this wonder chemical, cans of DDT fairly flew off department store shelves from coast to coast. 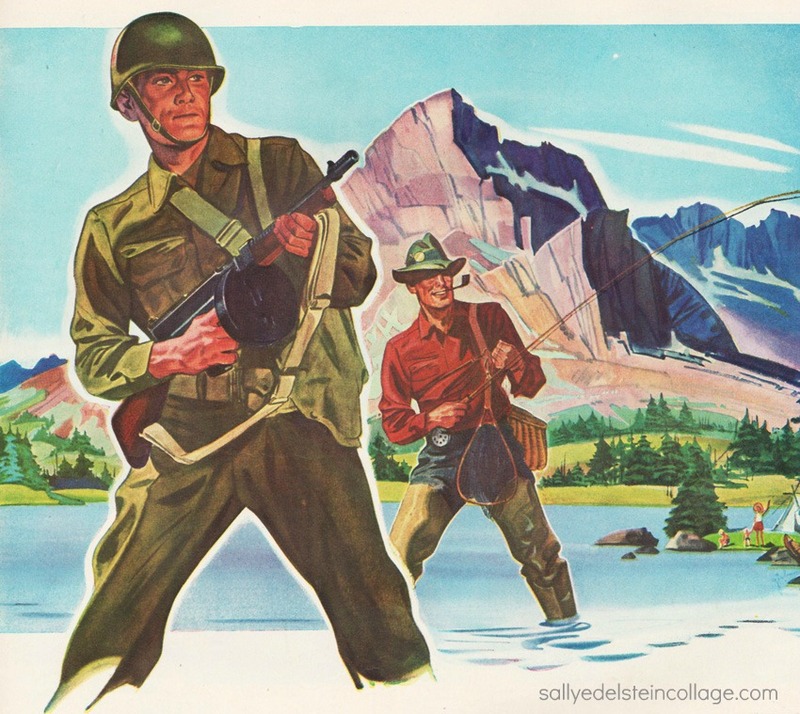 It was so safe in fact that the US public health service – after 2 full years of using DDT – had recorded no case of DDT poisoning among either the millions of soldiers and civilians sprayed and dusted or those experimental workers who handled DDT in all forms. Of course there were always nervous Nellies who spread rumors that DDT might wipe out all life in areas being treated and by killing all pollinating insects, striking a death-blow at Agriculture.